When using an unsubsidized loan, you are responsible for all interest costs. Nobody (the government or a local organization, for example) pays interest for you. Unsubsidized loans are more expensive than subsidized ones, but they’re easier to get. In some cases, an unsubsidized loan is your only option. You may not qualify for subsidies, or you may need more than you can get with subsidized loans. Borrowing costs go up, but you'll get the money you need. You have to decide if an unsubsidized loan is worth the price (for example, if it's worth it to finish college more quickly). It is fairly easy to find an unsubsidized loan. 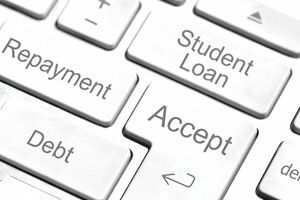 For student loans, start with your financial aid office - you can apply for subsidized and unsubsidized loans at the same time. If you need more money than you can get through federal loan programs, you have to use private loans from banks, credit unions, or peer to peer lenders. Whether borrowing for education or to buy a house, most private loans are not subsidized by anybody. Should you pay interest on unsubsidized loans, even if you don't have to? With some student loans, you have a choice. If you can afford to, it's best to pay interest as it accrues. If you don't, interest charges are added to your loan balance and you'll have to pay more later. Over the years, you'll also have to pay interest on those skipped interest payments.